Ever noticed that the SF Chronicle has a Beer column, a Cocktail column and a Cheese column – but nothing regularly devoted to chocolate? 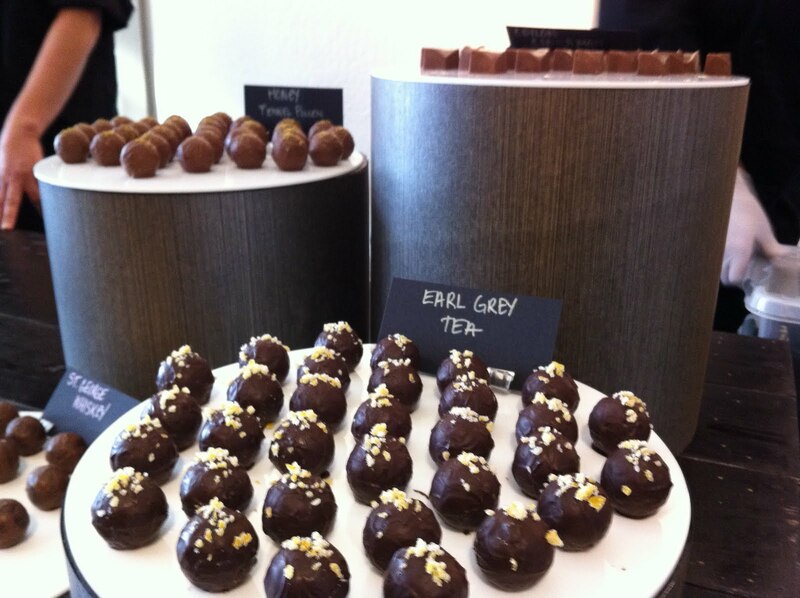 Gourmet Walks is here to fill the void with news on the tastiest chocolate happenings in San Francisco in 2012. We include not just chocolate boutiques but also patisseries who showcase local bean to bar chocolate makers, like Guittard and TCHO, in creative and delectable ways. 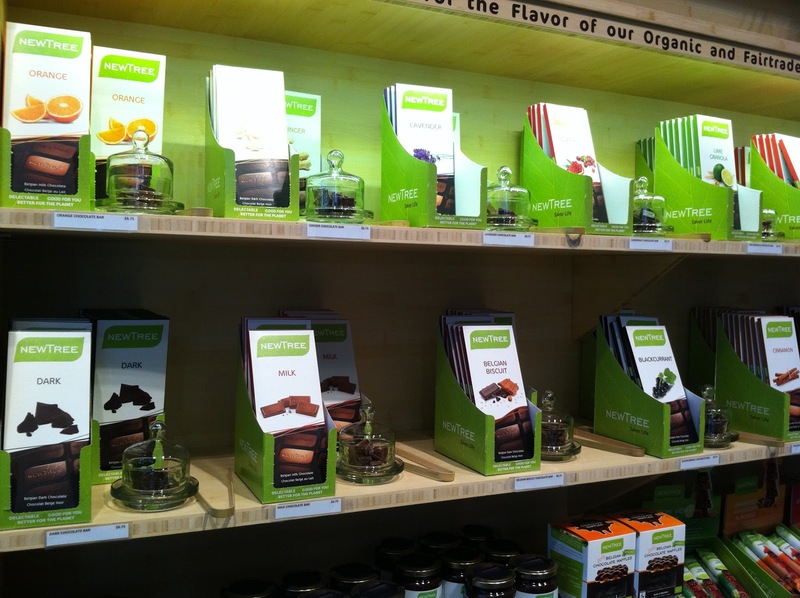 New Tree – Belgium based New Tree Chocolate chose San Francisco for their first retail shop, which opened in June. New Tree corporate offices are located not too far away in San Anselmo. But the company’s commitment to sustainability and health is what makes San Francisco a natural fit. The café (located right across from Yank Sing’s Stevenson location) sells fresh, organic lunch items and baked goods in addition to the full line of chocolate bars, spreads and snacks. New Tree is featured on our midweek Chocolate Tours. Dandelion Chocolate - With Dandelion’s November opening, TCHO is no longer the only bean-to-bar chocolate maker in town. Dandelion’s beautiful new factory and café is located on the trendy Valencia strip in the Mission, next to Mission Cheese and Abbott’s Cellar. Every step of production is on display, with a crew personally trained by founders Todd Masonis and Cameron Ring in making small batches of chocolate using the best possible beans. Café items include cacao fruit smoothies, iced chocolate and pastries. Dandelion is featured on our Crosstown Chocolate Tours. The Chocolate Lab – Over in the Dogpatch, Michael Recchiuti opened his long-anticipated Chocolate Lab in November. This gets my vote for the most clever restaurant name of 2012! Not just a chocolate shop, the Lab is modeled after the Cuisine de Bar in Paris, serving a range of savory tartines along with wine, beer and cocktails. Recchiuti has also created homey gratins and casseroles that will soon be offered as pre-fix dinners. But the real star is dessert, including sundaes with homemade ice cream, chocolate cakes and custards. The Chocolate Lab is featured on our Crosstown Chocolate Tours. Enjoying hot chocolate on a Crosstown Tour. Craftsman & Wolves – In June William Werner (previously of Tell Tale Preserve) opened this gorgeous café on Valencia Street, next door to Dandelion Chocolate. It’s clear this is the vision of a perfectionist, from the artistic cube cakes to the inspirational wall quotes. 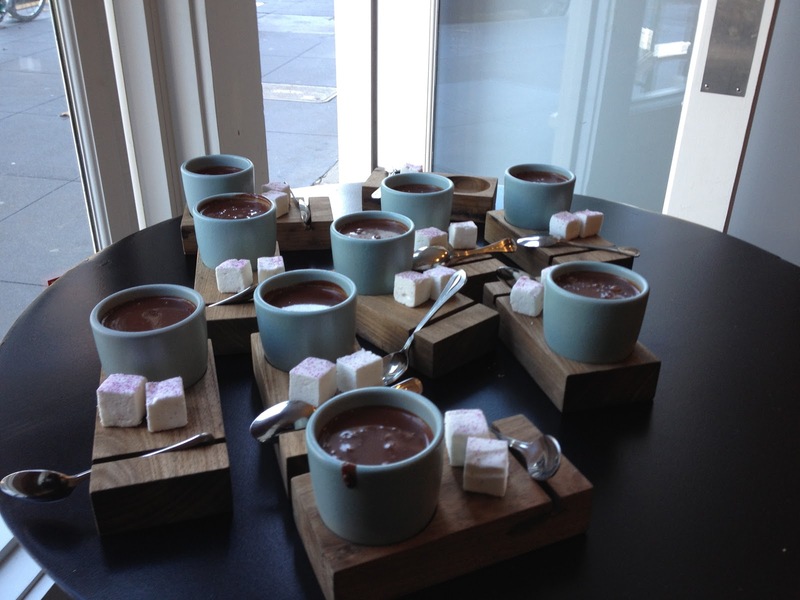 The ultra thick Valrhona drinking chocolate served with a homemade violet marshmallow is not to be missed. 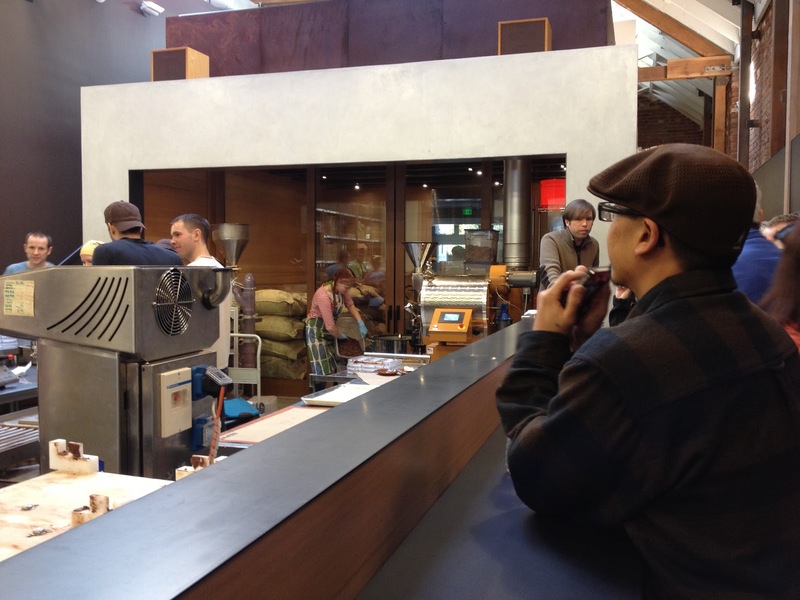 Craftsman & Wolves is featured on our Crosstown Chocolate Tours. Tout Sweet – Top Chef star Yigit Pura opened Tout Sweet on the 3rd floor of Macy’s Union Square in September. The bright purple, pink and white décor is inspired by Pura’s favorite children’s book, The Little Prince. For tired shoppers, it’s a peaceful spot to sit down and look out over Union Square with a glass of champagne and a pastry. 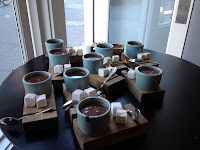 Like C&W, Tout Sweet makes a yummy but lighter Valrhona hot chocolate with homemade marshmallows. My absolute favorite Tout Sweet baked good is the sea salt chocolate chip cookie. 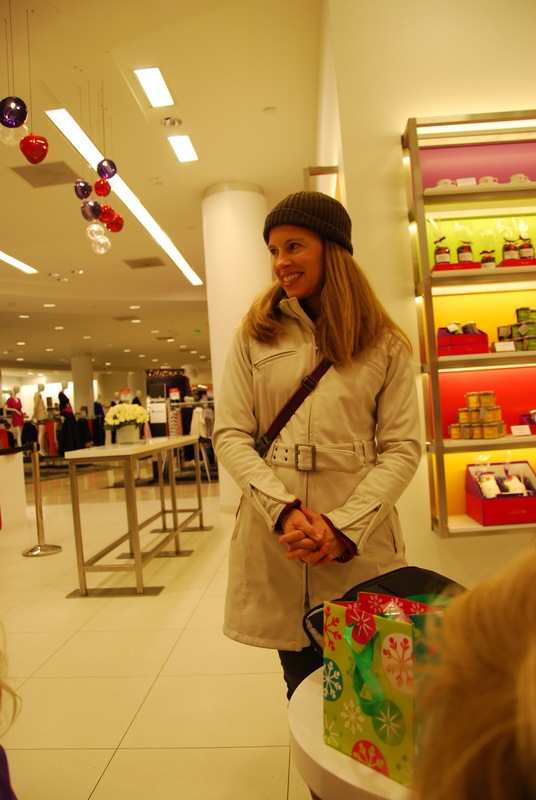 Tout Sweet was featured on our Holiday Lights & Chocolate Tour and will be on our Valentine’s Cupcake & Chocolate Tour. Chocolate makers partnering with local artisan food companies is a trend I’ve noted in San Franciso and beyond. For example, Missouri based Askinosie has created “CollaBARations” with Jeni’s Splendid Ice Cream (Dark chocolate and malted milk) and Zingerman’s (Dark chocolate and crunch sugar crystals with vanilla bean). Going in the reverse direction, GelatariaNaia uses Recchiuti burnt caramel syrup in their salted caramel gelato. San Francisco based TCHO Chocolate this year introduced the Mokaccino Bar, a blend of their celebrated Serious Milk chocolate (International Chocolate Award Winner) and Blue Bottle coffee. 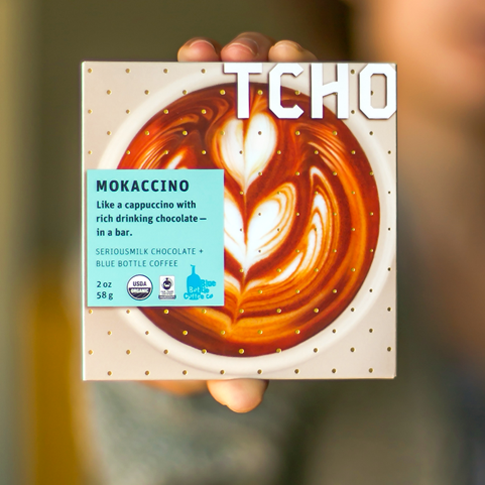 No longer just a bean-to-bar company, TCHO is also partnering with local companies to make confections in small batches. One is a sugar free chocolate, blending 99% TCHO with local Marshall’s Farm honey. If you are one of our Chocolate Tour customers, your Chocolate Lover card will give you a nice little discount at their Pier 17 Beta Store. Feve Artisan Chocolatier – With brand new packaging and an exotic sounding name, the founders of Au Coeur des Chocolat have stepped up their game. Last week, Feve even won a Good Food Award for their Pistachio Rosemary Caramel. Although Feve does not have a boutique, the chocolates can be purchased at the Fillmore Bakeshop and a few local grocery shops. I particularly like that 5% of the proceeds benefit cacao farmers through Kiva. There are several new sweets projects I am excited to see open up sometime in 2013. Once they are off the ground, you’ll be sure to find them on our private tour itineraries. Charles Chocolate Redux – From Emeryville to Westfield Center and finally the Mission, Chuck Siegel is not giving up on his Willy Wonka dreams. After a successful Kickstarter campaign this fall, Siegel is pressing forward with a target Spring opening. Renderings of his new space on Florida Street look impressive, and Heath Ceramics and the Coffee Bar make great foodie neighbors. I’m hoping to see a return of his classic confections, including Peanut Butter Butterflies and chewy Turtles. B. Patisserie – Belinda Leong’s Pacific Heights patisserie is perhaps a month or so away from opening. Leong was the pastry chef at Manresa and has done various pop-ups in SF while plotting her brick and mortar debut. Like most of the new patisseries, she will boost profits by selling savory lunch items as well. Tip: don’t miss her kouign amann, a croissant-like pastry that is fast on the trendy heels of the Parisian macaron. Sixth Course – Sixth Course has stolen the show at the past few Chocolate Salons and if you still haven’t tried them, put it on your to-do list for the weekend. The usual San Francisco permitting and building delays are pushing back the Sixth’s Course opening of their Mission dessert shop to late summer. Until then, you may buy their chocolates online, at a few local grocers or, if you’re really lucky, at the end of a dinner at Acquerello. You can’t go wrong with any flavor combination, but I am partial to the Whiskey Neat with St. George Single Malt and the Smoked Salt caramel. Michelle Polzine’s 20th Century Café – Since Hayes Valley is a beloved Gourmet Walks tour neighborhood, I am especially looking forward to the launch of this café. Polzine (the pastry chef at Range) is looking to Eastern Europe for inspiration. The café is set to open in the spring and will include blinis, crepes, strudels and rugelach – civilized treats for the post Opera crowd. I see a gourmet knish on a future Gourmet San Francisco/Hayes Valley tour menu.